Seriously, being a Quad Cities Newborn Photographer has to be the most amazing and rewarding ‘job’ there is. It’s almost hard to even call it a job because it’s simply something I’m totally in love with! This is one of those sessions that I walk away from so incredibly excited to load onto my computer and begin working on. We started out with a few beautiful shots of mom and baby, then we added dad in for those amazing family shots, and then moved into baby and dad to capture that special bond. I love capturing these moments between each of the parents and the baby and the family as a whole. The babies are only this tiny for such a short amount of time, so it’s fun to look back and remember when they fit into your arms! Next we moved into a shot that I am SOOO excited with the way it turned out. Dad is a huge Harley Davidson fan. As a matter of fact, we took some of their engagement photos a few years ago with their Harley motorcycle. So, it’s fitting we incorporated a Harley Davidson item in these photos with their baby boy. It’s one of my favorite shots from the session. Check it out below, and please keep in mind…newborn safety is ALWAYS key to any session! There is a lot of Photoshop work done to the image to ensure the baby’s safety at all times. Mom had her hand on the baby’s head the entire time, and there was a lot of cushion inside the helmet to keep the baby safe and comfortable. 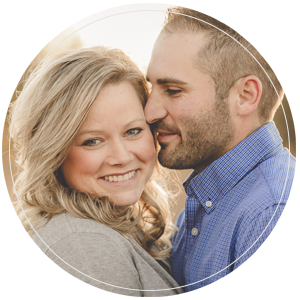 This amazing couple elected my Grow With Me Plan for their little guy. We did their maternity pictures, now newborn, and then upcoming we’ll have the 6 month session and one year session with a cake smash! It’s so amazing when clients select this one year package as I get to capture each of these milestones of their little one and watch them grow! I love building these relationships with clients and getting to know them on a more personal level. If you or someone you know is expecting, please message me about booking your Grow With Me Plan! This is such an amazing time in your child’s life that only lasts a very short amount of time. Let’s document it together! Please check out a few of my favorite images from this adorable newborn baby boy session.